The Trans Euro Trail is an incredible GPS track that circumvents Europe. 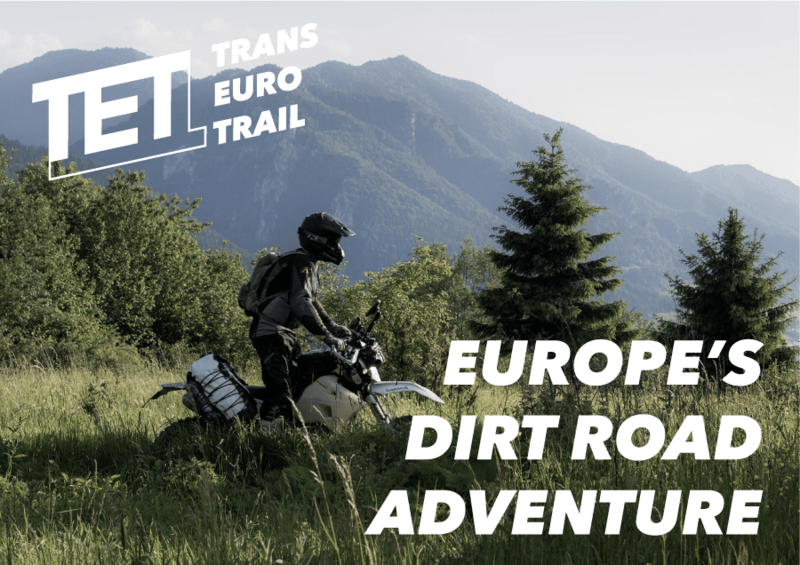 This amazing dirt road/trail goes through so many European countries and provides motorcycle adventure riders a true taste for ADV riding in Europe. The scope of scenery is literally all over the map. Some riders will do specific legs of the TET and others venture out to complete the entire route. The TET is over 21,000 miles long, over 4 times longer than the TAT. Check out the TET ADV riders website for more information on each country and they also have a forum as well. On their site you can download the GPS/X file for free. It i s 2.5Gb file, so have an SD card for it. The TET project is supported by Adventure Spec, a great ADV resource for your riding needs in Europe. This is a must for your bucket list and we are sincerely grateful for the selfless “linesman” (see website) who volunteered their time and put this great TET track together. Now get out a ride the TET! The Trans-Canada Adventure Trail (TCAT) is an amazing adventure motorcycle or dual sport GPS trek across the great land of Canada. It is over 9000 miles is you do the whole TCAT, that is approximately 15,000 Kilometers. It is not for the faint of heart. Ted Johnson, who was interviewed on Adventure Rider Radio, talks about the TCAT and the work that went into creating such a monumental trail that is a must do for and ADV traveler who has desire to tackle such a feat. Cool TCAT stickers are now available. Click here to order yours today! The Bald Eagle State Forest in named for the famous Native American, Chief Bald Eagle, includes 193,424 acres in Snyder, Union, Centre, Mifflin, and Clinton counties of Pennsylvania. They have dual sport adventure motorcycle trails, as well as off-road dirt bike trails for bikes that do not have license plates. there are a lot of rocks so wear motocross boots and make sure you bike has appropriate bash plates and protection. Goa is the heaven on Earth! The infinite and unlimited festive and active atmosphere, the affordable food and drinks along with the splendid and mesmerizing beaches, it’s not just one thing that sets Goa on the podium in India. With an uncountable number of beaches, casinos, bars and eateries, Goa has put itself on the world map for one of the must visit tourist places, as well as a place for Adventure motorcycle travellers to explore. 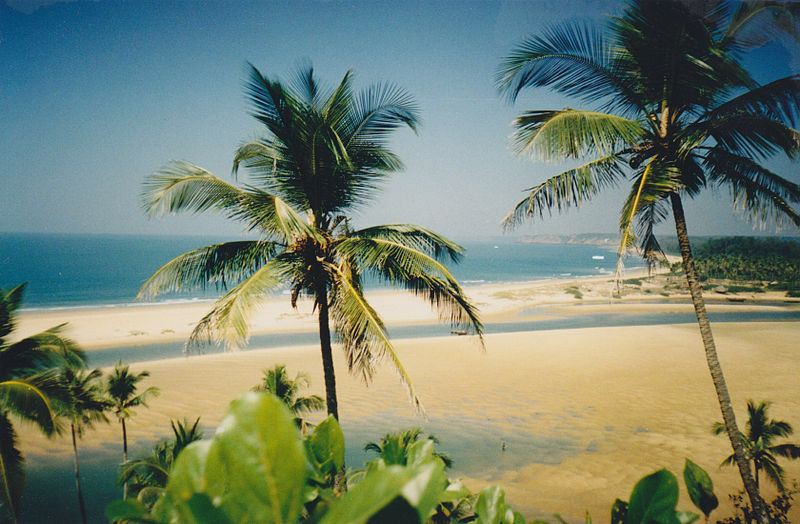 Many events, such as the Sunburn or the New Year’s Party, have skyrocketed Goa to one of the must visit destinations. Being such an amazing and well known tourist destination, it is true that most of the town has been explored, and is a tourist haven. But for many of us Adventure riders we don’t want the standard crowded tourist destination. We seek areas and destinations less travelled should we say. So, we decided to tell you about the amazing places which aren’t widely known, but awesome to hit in your travels! All these destinations can be hit by riding the Calangute-Baga Road, which connects many of these great places, but remember to always use caution while traveling this road by motorcycle. You won’t hit big boulders, or deep muddy water crossings but you will hit a high energy hustle and bustle of Indian roadways, where the biggest vehicle has the right of way. Some consider it an “aggressive” driving environment, but once in the “flow” it is like riding in any city, you must be alert and careful at all times. Many world travelers are aware of the India method of driving, it can be a little crazy but at the same time exhilarating and adventurous. 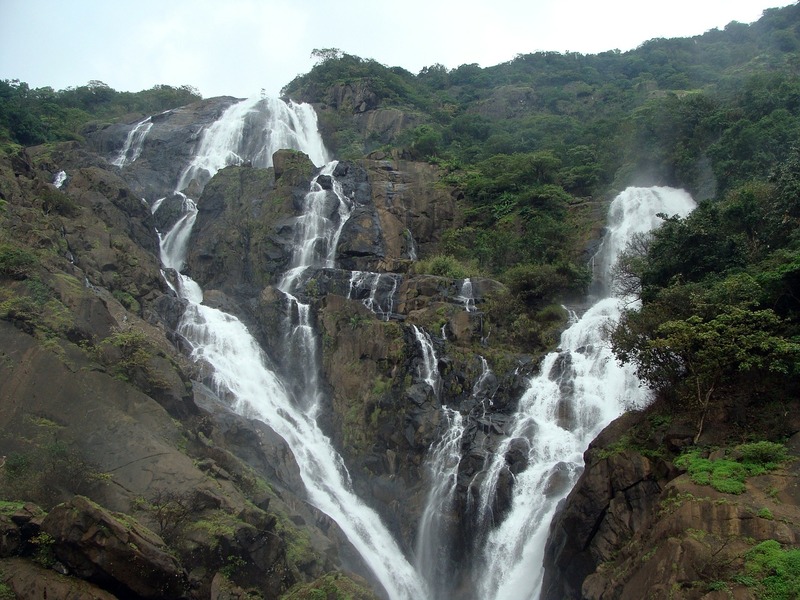 Known for its milky white appearance, the Dudhsagar waterfalls being the largest of its kind and the fifth largest in the country, doesn’t cease to amuse the experienced of travellers with its mind-boggling beauty. Extremely popular for the trek around the falls and the amazingly crafted way of the falls across the greens of the mountain are a miracle in itself. 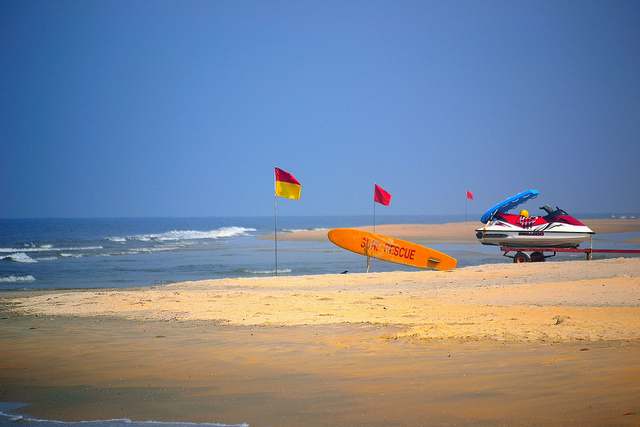 Known for beaches, the Mobor beach in South Goa is one of the popularly known beaches for adventure sports. If you’re the person with a knack for getting your feet wet in the sea water, trying out some surfboarding or speed boating adventures, then you’re headed out to the right place! Make sure to clip on your life jackets as the waters are pretty rough! 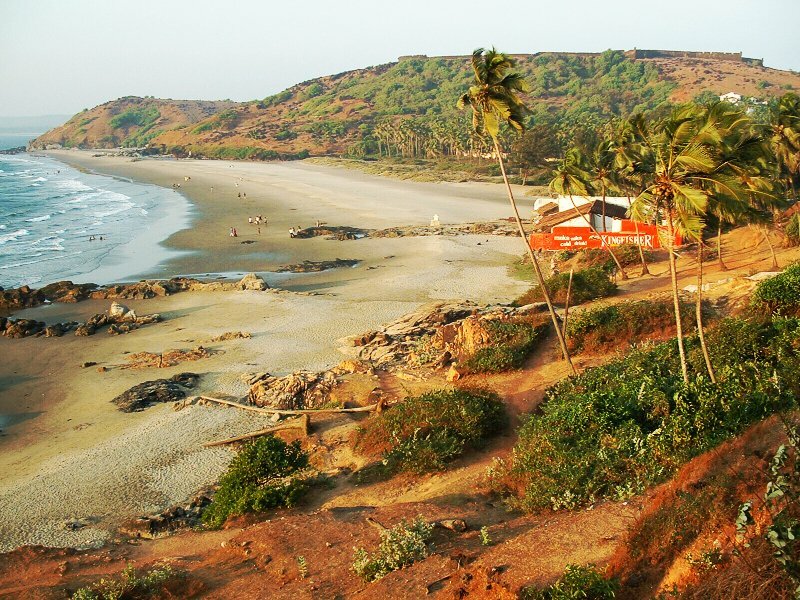 The Vagator beach, the northern most beach in Goa, is popularly known for its serenity coupled with beauty. Not very popular among Indian tourists, the beach is primarily filled with tourists from the west. With great cliffs that look down on the shore and some relaxing fresh water springs, the place is ideal for anyone looking to while away time in Goa. Mysteriously producing bubbles, the Netravalli Lake, also called as the Bubbling Lake, is under the light for its weird behaviour. The bubbles are continuous and emerge to the surface of the lake. Local stories say that fairies have rendered the lake magical, so it’s your time to test! Clapping at the lake is said to increase the intensity of the bubbles and also bring to life the water springs. Carambolim lake, in the Carambolim district of North Goa, is the heart of Goan birds. The lake is a habitat for the birds that are largely survival in the inland water bodies that contain fresh water. The lake helps irrigate the paddy fields in the surrounding which also develop the habitat of the birds and animals. Many migratory ducks, agile jacanas, kingfishers and numerous other species do come over to Goa for chilling and partying in their own style. 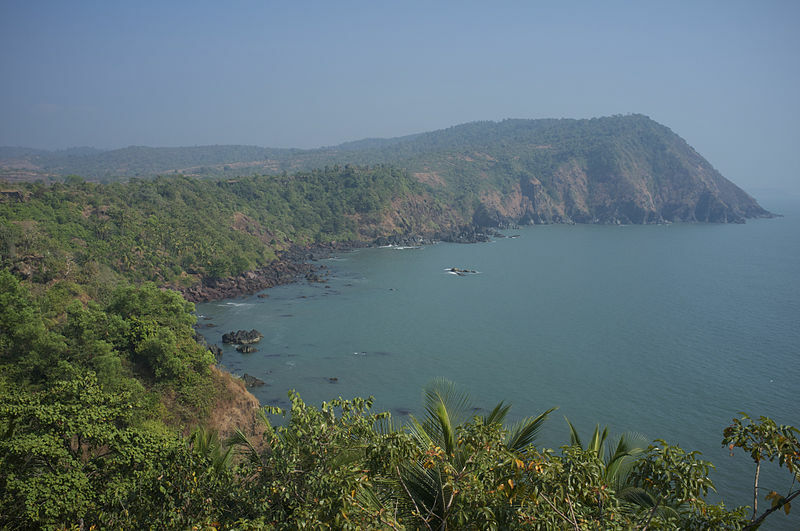 Situated in one of the secret beaches of Goa, the Agonda beach, the Cabo De Rama fort is a silent getaway. The place is just perfect for any person looking to catch a break from the hustle and bustle of the Goa city and wishes to spend some time in isolation far away from the mundate Goan lifestyle. The fort is pristine to this date and has an amazing view of the seashore to gaze at. Also, locally known as the Keri Beach, the Querim beach is one of the unique beaches you’d ever come across. Lying on the edge of the Arabian Sea, it catches the view of the Terekhol River subtly congregating into the sea. The opposite bank of the river houses the Terekhol fort which is accessible through a ferry ride and overlooks the river where one is allowed to try their luck at fishing. It isn’t without reason that Goa is a popular tourist destination. Even though these are some of the lesser known locations they are so enthralling. No wonder it is Goa, let the adventure begin! Rohit is an extensive traveller with an urge to explore the unexplored via foot, car and motorcycle. He does so by visiting the less travelled to places across the country and writes about them at http://www.transindiatravels.com/ for everyone who shares the same urge to benefit from. BDR announces its seventh route, the Nevada Backcountry Discovery Route (NVBDR), produced in partnership with the American Honda Motor Co., Inc. and TravelNevada, Nevada Division of Tourism.